← Java Sparrows for Hillary! Just for fun, during the 2016 election season, there is a new blog a couple of us created. I don’t want to overwhelm members of this blog with U.S. campaign posts, so I decided to give you a break this time around! 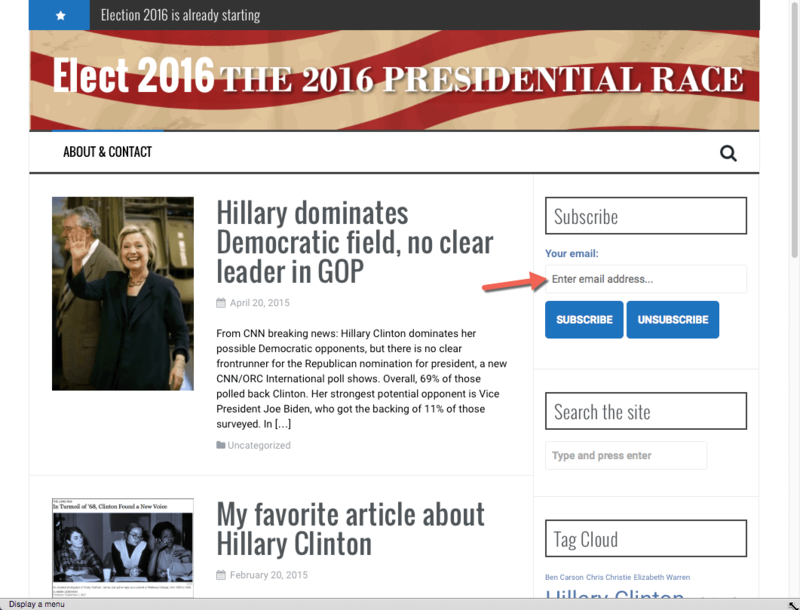 You can optionally opt-in and subscribe to the new blog by visiting http://elect2016.us. Or you can just email me and ask to be added to the list. I may post an occasional election-related post here, but most of such posts will be to the new blog. Here I can concentrate on the things most of my subscribers enjoy: articles about Japan, my Java Sparrows, photography, computers, culture, language, health and life in general.